Nassau Bahamas Beach Wedding Locations | Orange Hill dreaming? Seeking a sunset wedding on the pristine beaches The Bahamas? In Nassau, the beautiful Orange Hill Beach, located in the West, is our pick for a quiet ceremony. This venue affords couples a crowd-free wedding. 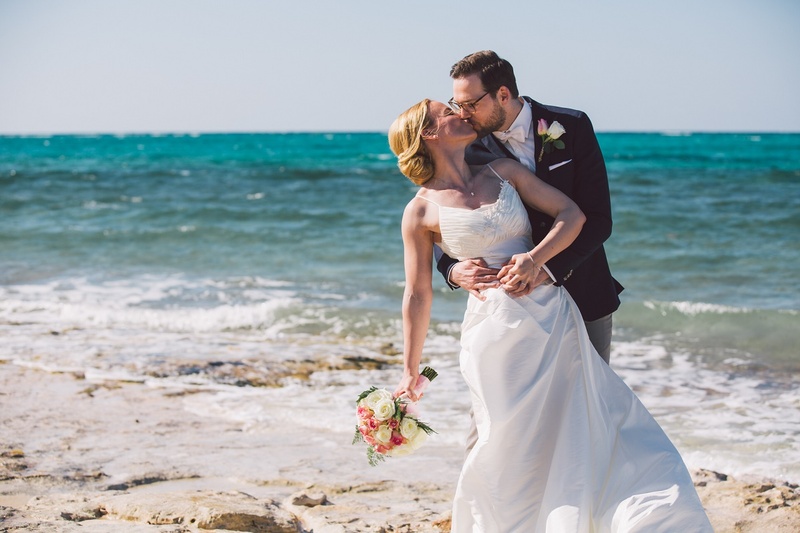 Jessica and Sebastian of Berlin, Germany dreamed of a beach wedding. The Islands of The Bahamas was their choice for a beach wedding over a Hawaii. So, the couple made a nice vacation. They enjoyed several days in New York City before traveling to Nassau to tie the knot. Jessica and Sebastian were married in a late afternoon ceremony Sunday, March 19, 2017 at Orange Hill Beach, Nassau. Bahamas Marriage Officer Dr. Reginald Eldon conducted the ceremony. The bride and groom’s parents traveled with them to witness the exchange of vows. Following the ceremony, Jessica, Sebastian and parents dined at Dune Restaurant at The One and Only Ocean Club, Paradise Island. The beautiful island of Exuma was the couple’s next stop. Swimming with the Pigs was top of the list of things to do and explore in Exuma. Orange Hill Beach is ideal for couples staying in West Nassau. 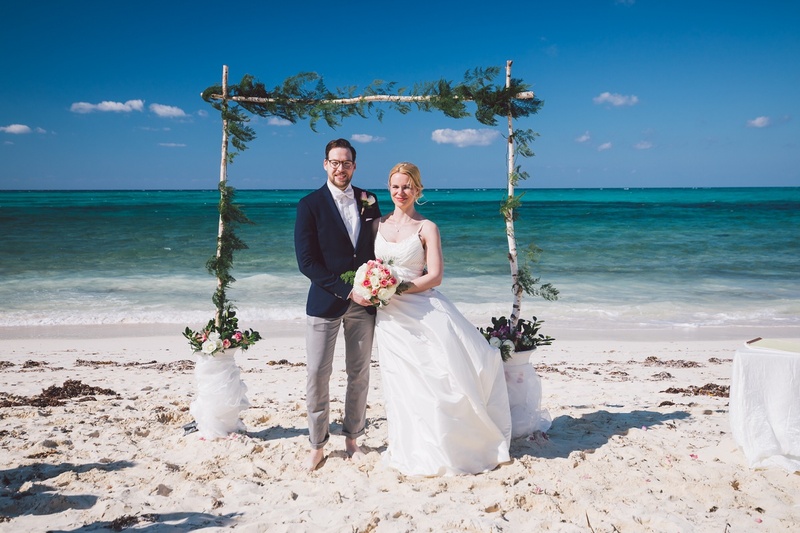 Jessica and Sebastian opted to stay in a lovely villa with ocean views in West Nassau. Compass Point Resort is nearby. Chic Bahamas Weddings plans and produces Bahamas weddings on beach in the Bahamas. Popular choices are Eleuthera, Exuma, Abaco, Nassau and Grand Bahama Island. Beaches in the Out Islands are private and secluded. Beaches on Harbour Island and Exuma are rated among the top 10 in the Caribbean and Bahamas by Conde Nast travelers. Chic Bahamas Weddings is happy to create custom beach wedding celebrations for you and your guests. Contact us today to begin planning your very special Bahamas wedding.